Jonathan Haslam, an Englishman employed by Anglo-American universities to report Soviet and Russian political, military and espionage history for the past century until now, suffers from a tic. That’s tic as in fanatic, the adjective Haslam applies to everyone who is a target of his history. But look again: Haslam’s tic turns out to be a symptom of the one-eyed man who believes he’s king (professor) in the kingdom (university) of the blind. Haslam reports that Felix Dzerzhinsky, the Bolshevik founder of the Cheka, was a “former religious fanatic”. The Latvian troops supporting the 1917 revolution were “both fanatical and efficient”. Naum Eitingon, Dzerzhinsky’s staff man in charge of undercover operations, was “a fellow fanatic”. The international Communist movement created by Moscow, the Comintern, “exported a steady stream of fanatical recruits”. The Cheka’s foreign department was organized “fanaticism”. Gleb Bokii, appointed by Vladimir Lenin in 1921 to create a special decryption service, was not only Lenin’s friend, he was also a “fanatic”. The tic doesn’t stop when the KGB expanded under Nikita Khrushchev’s appointment of Ivan Serov as chairman. According to Haslam, Serov was a “fitness fanatic”. Bogdan Korbulov “was ugly – small and fat with a vicious temperament to match”. Alexander Korotkov – “tall, handsome, athletic”. Viktor Abakumov – “a good-looking man with ugly ambitions”. Dmitry Polyakov – “a pleasing smile”. Nikolai Lysenko – “a miserable-looking man, but a formidable operative”. Haslam is breaking no new ground to conclude thus that appearances can be deceiving, especially in espionage, so it’s unclear why he pays such repetitive attention to these details. No woman agent — there are many in this history – is described by Haslam in such detail. Two attract him , however – Litzi Friedmann, Kim Philby’s first Viennese wife, was “unattractive”; judge for yourself from her picture at right. Then there was Ursula (a London agent), documented as “having a babe [sic] in arms” when she was managing handovers of the vital Anglo-American atomic bomb secrets gathered by Klaus Fuchs. For Haslam, the rest of the women are so, er, female as not to deserve a description, except for Maria Dobrova; she’s the exception who proves Haslam’s rule. A military intelligence (GRU) captain code-named Maisy, she was “charming as well as pretty”, according to Haslam. Her successful spying on US plans for invading Cuba in 1961 were ignored by her (male) superiors. Haslam admits that after Dobrova’s identity had been betrayed and the FBI attempted to arrest her at a Chicago hotel in May 1963, she jumped out the window to her death. “Tragic fate”, Haslam calls it almost sympathetically. What he does not explain is how he knows Dobrova was “pretty” because no photograph of Dobrova has been published. 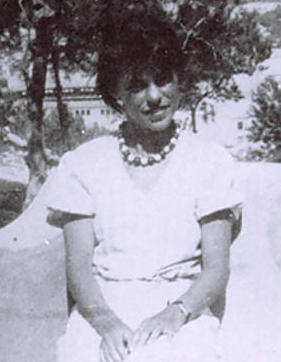 One photograph purportedly of her, which has appeared on the internet, was taken six months after her certain death. 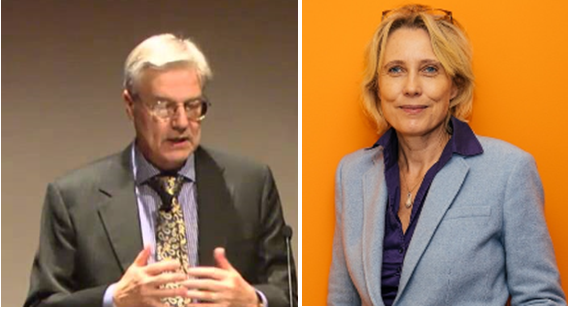 Mr and Mrs Jonathan Haslam: left, Haslam; right, his wife Karina Urbach. Urbach’s professional curriculum vitae reveals she is either of German or Austro-German origin like Litzi Friedmann , but not whether, like Friedmann, she is Jewish. Jewish origins are a special focus in Haslam’s history of the Cheka through the purges of 1937-39 and well into the subsequent war period. Haslam goes overboard on page 139. There he describes two big-nosed agents — Nikolai Aptekar “with a big nose and big ears” and Semyon Semyonov (Aba Taubman) with “a big nose, a large sensuous mouth, and round black eyes set below a receding hairline”. Haslam identifies the latter as Jewish; the religion of the former is omitted. All Christians, Muslims, Buddhists, atheists, and fire-worshippers go incognito in Haslam’s history because they weren’t Jewish. Almost no good-looking Russians have been engaged in intelligence work for the past century, reports Haslam. The exceptions he records are (left) Alexander Korotkov; centre: Alexander Sakharovsky; right: Vladimir Vetrov. Between 1980 and 1982 Vetrov worked for French intelligence, turning over material on technology theft by the KGB. He was jailed in France for attacking his girlfriend and killing a policeman; deported to Moscow; and executed there in 1985. It’s difficult to tell from Haslam’s history of Russian intelligence, Soviet and post-Soviet, what his evidence is for successful deception of the Allies by the Russian side, and for what was delusional among the Russians, according to Haslam’s assessment. 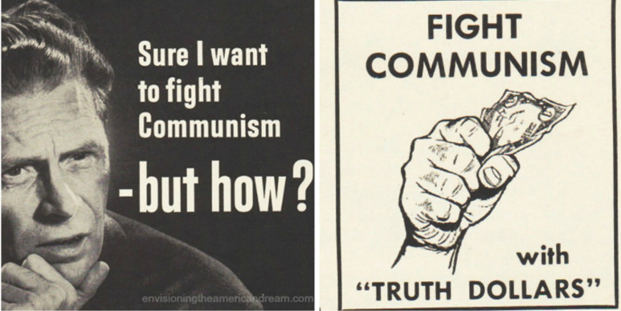 For example, he claims that during World War II the really effective intelligence gathered by the Moscow spy services came from British, American or other foreign agents who were themselves, in Haslam’s judgement, deluded into spying because they were deluded into believing some form of Marxism or Communism. When these fellows came to their senses – following the German-Soviet Non-Aggression Pact of August 1939, for example; or Khrushchev’s denunciation of Stalin in February 1956 – Haslam’s conclusion is that intelligence of real value dried up. Haslam’s explanation for the ineffectiveness of home-grown Russian intelligence is also delusional. That’s to say, no matter how accurate his spies were, Stalin refused to believe them out of his own mental derangement, suspicion of enemy deception, pathological paranoia, etc. Also, Lenin’s delusion about the value of cryptography left the successor agencies dangerously unprepared, according to Haslam, for the code-breaking technologies and computer achievements of the Allied side. That the Soviet Union and Russia survived at all when the Germans, the British and the Americans were so non-delusional, rational, and smart is remarkable in the story Haslam tells; he doesn’t have an explanation for it. Good looks or ugly mugs don’t appear to have been the deciding factor. The Afghanistan War trick, accomplished by Anglo-American success in code and cipher-breaking and tapping into high-level Russian communications, is an important claim by Haslam. He reports that “by 1979 the Americans were able to use the knowledge gained from reading the traffic to trick the Russians into invading Afghanistan by the end of that year.” The problem with this is Haslam’s sources. One of the footnotes to the claim is a book Haslam had written himself before this one; another of the footnotes is “confirmed by a knowledgeable source”. A third is a remark of Zbigniew Brzezinski, National Security Advisor to President Jimmy Carter, who reportedly crowed after the Soviet military intervention began in Kabul in December 1979: “They have taken the bait!” Haslam attributes this to a quote “off-guard in conversation after dinner in my college by the chief military assistant [to Brzezinski], William(‘Bill’) Odom”. 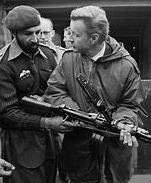 At the White House in those days, and ever since, Brzezinski (right with Osama bin Laden at the Khyber Pass, 1980) was a notorious liar in promotion of himself with President Carter, and to the disadvantage of Carter’s other advisors and public critics. Haslam has no independent source for judging whether Brzezinski’s remark was true or false; Odom after a bibulous evening is no better than Haslam’s anonymously “knowledgeable source”. Haslam also claims support for his theory of the Afghan War trick from Soviet generals of the time. But their memoirs have been written to settle many scores with the civilian Politburo’s management of the war, including their widespread view that Mikhail Gorbachev had betrayed them. Haslam also makes the case that the Russian side has repeatedly failed to appreciate the intelligence value of cryptography and cyber operations, compared with the US and British services. The point is an important one, but Haslam has failed to follow through on it. He reports how often the Americans and British were able to use their superior decryption technologies and computing power to break the Russian codes, and read the most secret, command-level communications without the Russians knowing. Curiously, Haslam is silent on what these communications revealed. Almost certainly — we now know in retrospect from declassified Allied sources — the Russian plans were revealed to be defensive, not offensive, and dominated by the fixed idea that the NATO allies were preparing a surprise attack. The communications also revealed how unprepared and ill-equipped the Russians privately admitted they were; and how uncoordinated their warfighting command-and-control was. In short, what Haslam has left out of the achievement of Anglo-American intelligence is the discovery that the Russian threat in Europe and worldwide was largely the propaganda of the Allied side; and also the discovery that the leadership in Moscow were justified in believing they were dangerously vulnerable to a nuclear first-strike plans of the type Daniel Ellsberg published last year. Haslam concedes it was US strategy to trick Soviet intelligence into exaggerating its assessments of the likelihood of US attacks in order to “destabilize the economic foundations of the Soviet Union by depriving it of the technologies essential to war while simultaneously ratcheting up the arms race”. He thinks that because the Soviet Union collapsed, this calculation must have been successful. That’s been the basis for US triumphalism since 1991. Haslam adds to the chorus of triumphalism by declaring the success of Anglo-American propaganda and subversion campaigns. “Radio Free Europe, Radio Liberty, Deutsche Welle, the Voice of America, the BBC World Service…finally proved too much for the Soviet system to bear.” Twenty years later, the only medium published in Russian to mention Haslam and his book turns out to be Radio Liberty. Here you have Haslam’s tic. Either he believes in the effectiveness of Anglo-American intelligence to trick the Russians into deluding and bankrupting themselves in unpopular military adventures leading to domestic regime change. Or else he believes Anglo-American intelligence is so unsuccessful, it has failed to prevent its operations in Chechnya, Syria, Ukraine and Venezuela from being neutralized by the Russian counter-attack. Blind to this contradiction, Haslam’s delusion is that he’s free of the clinical symptoms he has diagnosed on the Russian side. That must be a qualification for admission to the Princeton Institute for Advanced Study, where Haslam – also his wife — are currently institutionalized.